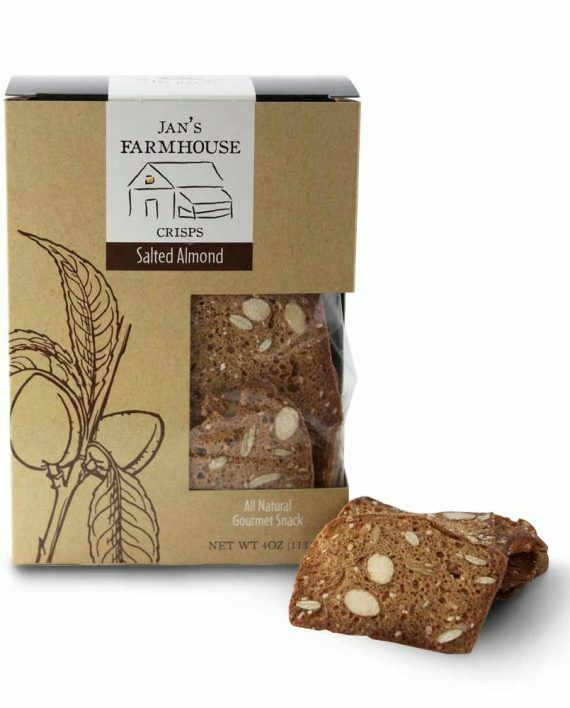 The new salted almond crisps combine almonds, golden raisins, honey and a touch of sea salt for Jan's take on a classic sweet and salty snack cracker. As with the original cranberry pistachio crisp, it's the extra thin cut that sets Jan's apart from most crackers. the all-natural crackers are made without artificial or processed ingredients and are GMO-free. 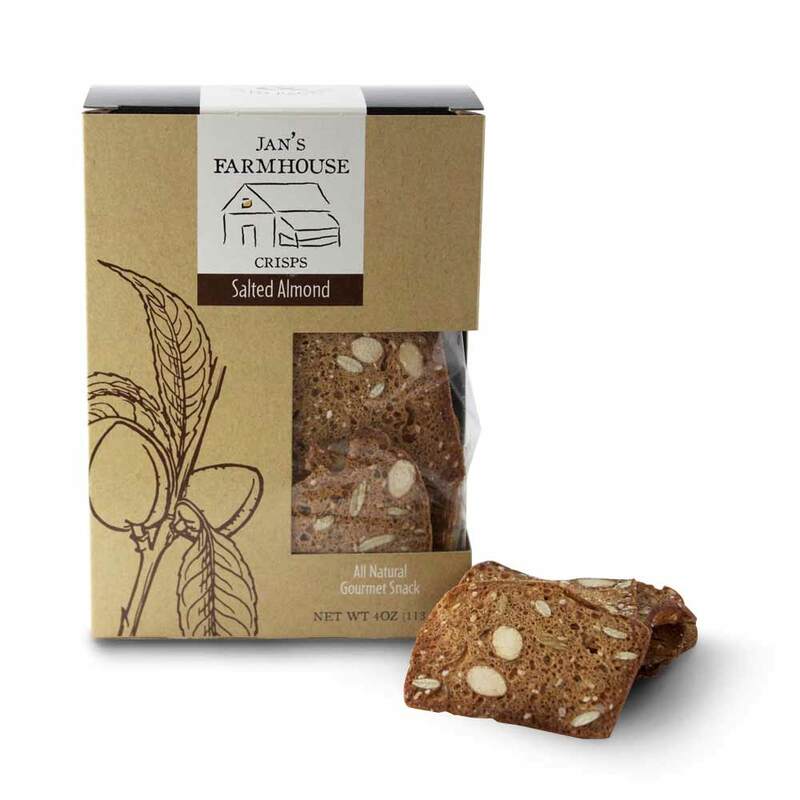 The new salted almond crisps combine almonds, golden raisins, honey and a touch of sea salt for Jan’s take on a classic sweet and salty snack cracker. As with the original cranberry pistachio crisp, it’s the extra thin cut that sets Jan’s apart from most crackers. the all-natural crackers are made without artificial or processed ingredients and are GMO-free.